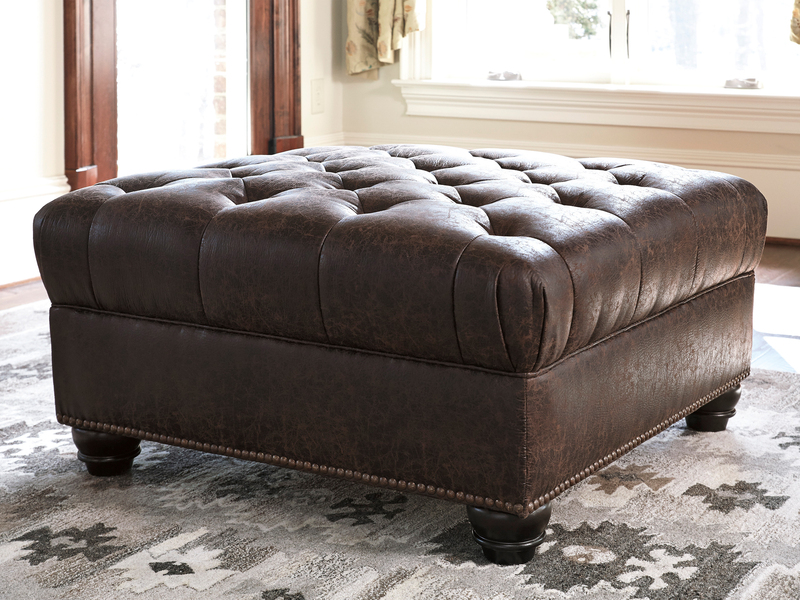 Breathing new life into a familiar profile, the Irene oversized ottoman is everyday classic—with a casually cool attitude. More than generous in scale, Irene entices with a deeply tufted cushioned top that works beautifully as a footrest and table when topped with a tray. 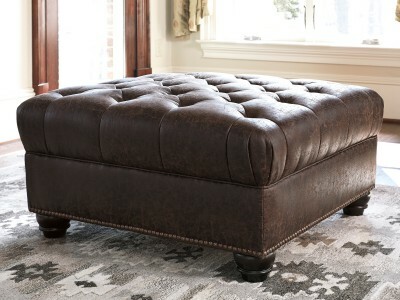 Distressed Durapella® upholstery offers the look of perfectly weathered leather at a comfortably affordable price.